Mr C Dawson, Consultant Urological Surgeon/Urologist, is employed by North West Anglia Foundation Trust, and also sees Private Patients at the Fitzwilliam Hospital, Peterborough. He trained at University College, London and qualified in 1986 having taken an intercalated BSc in Immunology. Following his FRCS examination in 1990 he undertook a surgical registrar rotation in Portsmouth before starting his MS thesis at St Bartholomew's Hospital in London working for Mr HN Whitfield. On completion of his MS thesis he began his higher training in Urology at the Battle Hospital, Reading, moving on to the Institute of Urology in London, and then to Peterborough. During his time as a Senior Registrar in Peterborough he co-authored the ABC of Urology with Hugh Whitfield. Chris was appointed Consultant Urologist at the Edith Cavell Hospital Peterborough in December 1996. He was Lead Clinician for the Department from 2003 to 2016, and remains Cancer Lead Clinican and Audit and Governance Lead for the Department. Chris has a wide range of sporting and leisure interests; He has run both the Madrid and Paris Marathons and competed in 4 Olympic-distance Triathlons. On 11th May 2013 Chris completed the Mallorca 70.3 Half Ironman Triathlon in a time of 7hrs 23mins and 32 seconds. Since then Chris has completed the Half Ironman race on 7 separate occasions. 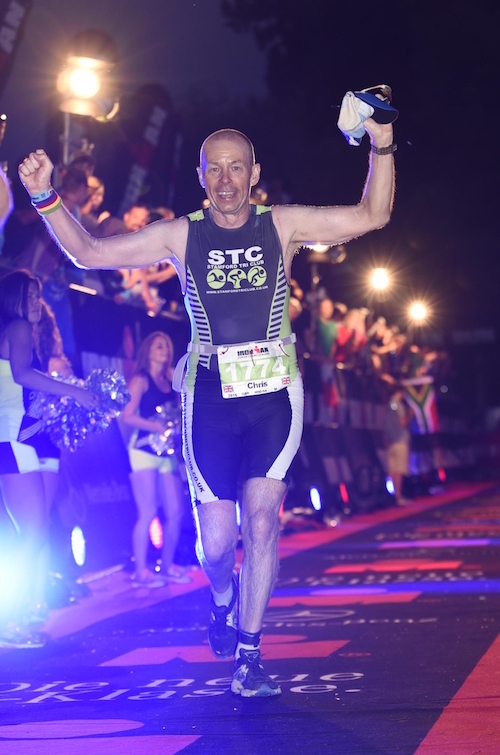 On 19 July 2015 Chris became an Ironman in Zurich, Switzerland completing the 3.8k swim / 112 mile bike / 42 k Run course in 14hrs 41mins 19 seconds. Chris holds a first dan black belt in Aikido and a brown belt (1st Kyu) in Shotokan Karate. Chris successfully completed his Private Pilot's licence with NSF Sibson near Peterborough in July 2008, and passed the IMC instrument rating in November 2011. Chris has did the Competent Crew course in November 2013 with his wife, and is now working towards his RYA Day Skipper Exam in July 2019. Chris also likes playing the Drums, and in February 2018 passed his Rockschool Grade 3 Drum exam with a Merit. Chris also passed his ABRSM Grade 3 Music Theory Exam in July 18. Chris and his son are working on Music Production and are passed their Rock School Grade 6 Music Production exams in July 18 (Chris - Distinction). They took their Grade 8 Music Production exams together in March 2019 and are awaiting the results. The clinic, based within walking distance of Peterborough City Centre, provides aesthetic treatments including anti-wrinkle injections, and dermal fillers. Please see the website (above) for more information. Chris has continued to publish since his Consultant Post, most notably the award winning The Evidence for Urology which won first prize in the Urology section of the BMA Medical Book competition 2005, and the 2nd edition of the ABC of Urology. The 3rd Edition of the ABC of Urology was published in early Jan 2012 and was edited with close friend and colleague Janine Nethercliffe. A full CV and list of publications is available on request.